This was only a temporary fix. When one of the wires started burning, Jenny sent my roommate and me to the nearby town to buy thicker wire. The new wire worked well at first, but another bout of intensive cake-baking overloaded a part of the house wiring running across the ceiling. The wiring sparked and burned out, cutting off power to half of the house. I walked to town again and bought electrical tape and more wire, which I installed to bridge the burned-out house wiring. 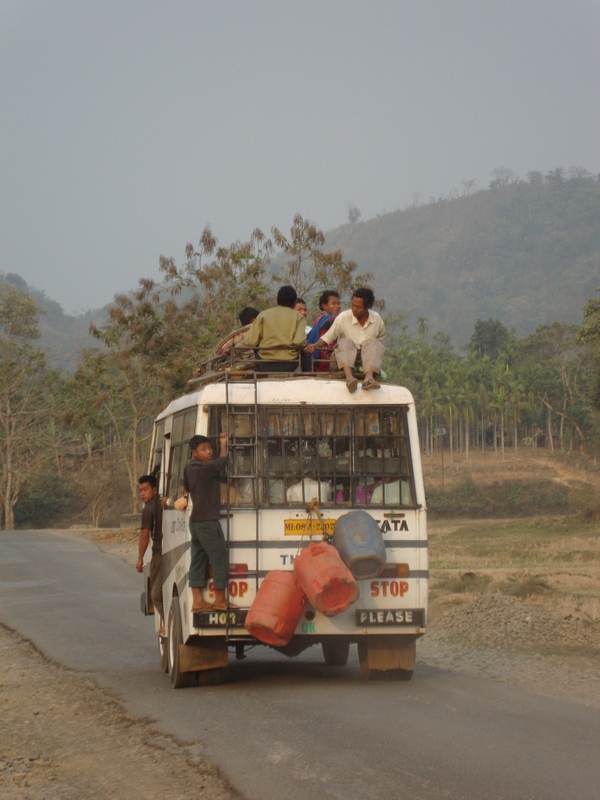 Adaptive reuse and interpretive flexibility: Decommissioned intra-city buses now serve for long-range transportation in the Garo Hills. Passengers ride on the bus wherever they can find space. 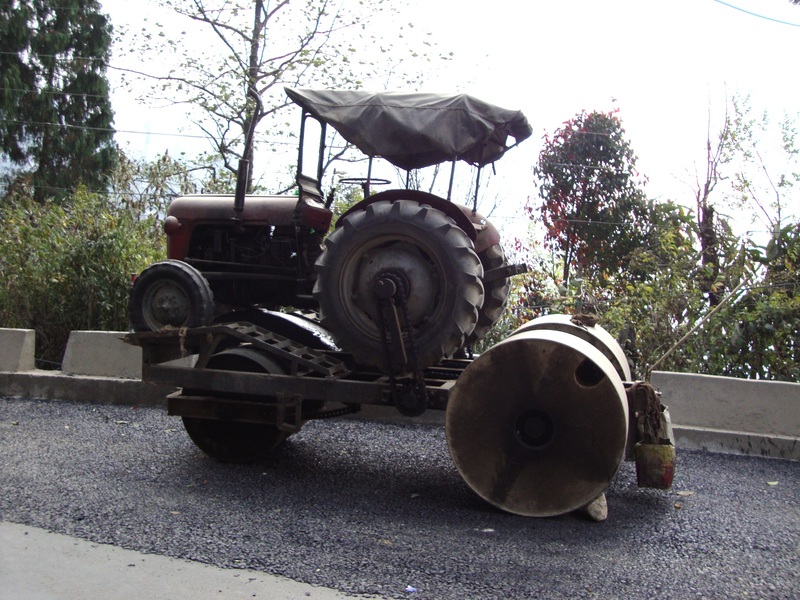 A tractor repurposed to power a road roller (photographed in Darjeeling). In Hindi, the word jugaad refers to these sorts of improvisations.2 To the modern Indian, jugaad can be a source of national pride and, sometimes, shame. According to different commentators, jugaad represents cleverness and ingenuity or an excuse for laziness and slipshod work. 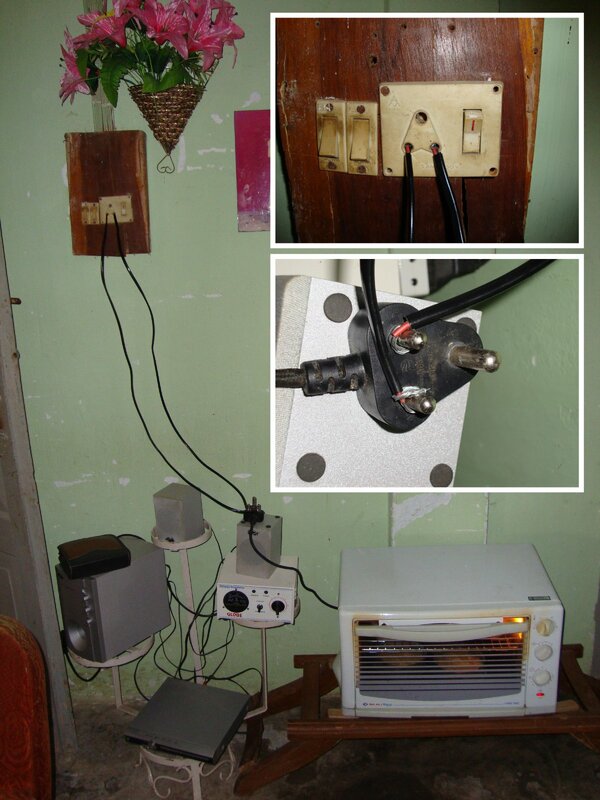 In the following series of blog posts, I will explore the concept of jugaad, linking it with other examples of adaptive reuse in non-western as well as western technology. Although jugaad most commonly refers to improvisation in India’s contemporary liberal market economy, I will explore the concept’s importance in early postcolonial India, broadening it to include the judicious use of non-material resources such as labor. In the first years of independence, India’s industrialization depended of improvisation. The country was rich in raw materials and labor, but poor in developed industries. Subject to a different set of conditions than the developed western powers, India had to follow its own path to industrialization.